Clear your calendar - It's going down! 2nd European Augmented Reality Marketing Conference and AR Business Ex kicks off on April 29th, and you're invited to take part in the festivities. AR Marketing Conference is our meeting spot for a day of fun and excitement. Come one, come all, bring a guest, and hang loose. This is going to be epic! So what is the ARVR Innovate about? ( VR ) and Wearables technologies. Product Managers, Brand Managers, Category Managers. Digital Specialists, App Developers, IT Consultants, IT Project Managers, Architect Practices, Government Planning Agencies, App Developers, Software Companies, Graphic Designers, Business Owners, CMOs, Marketing Directors, Heads of Marketing, Marketing Managers as well as agency employees in Advertising, Digital, PR and Marketing. Clear your calendar - It's going down! 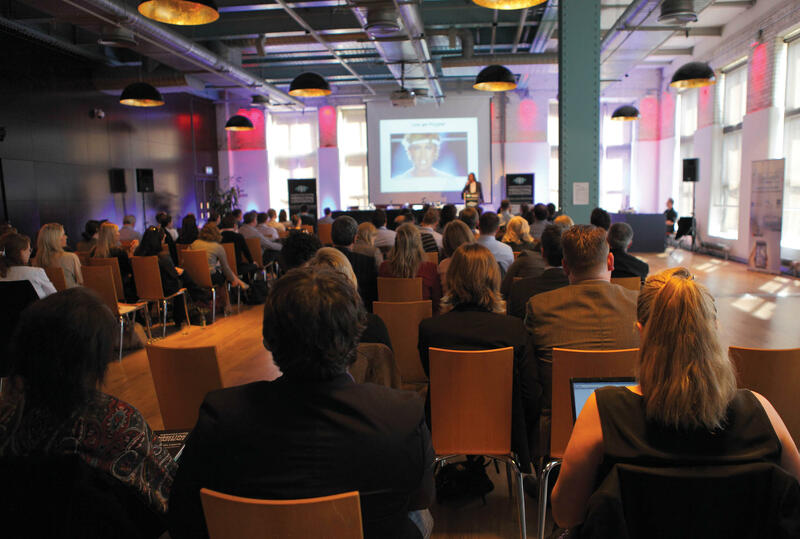 The 2nd European Augmented Reality Marketing Conference and AR Business Exchange kicks off on April 29th 2015, and you're invited to take part. DAQRI, iTagged, Amplified Robot, Wide Eye Media, Glassware Foundry, TU Delft and Betfair are just some of the top organisations that have chosen to partner with us to maximise their commercial and marketing goals. We want to hear from you about how our conference can help you reach your audiences….reach out to us today. Author of six global bestselling books referenced in 50 books by other authors, and working globally for customers in technology, Tomi Ahonen deems Augmented Reality to the be the next mass medium to forever change world interactions. An AR & VR Expert and Augmented Reality Evangelist, Steve is a regular writer and contributor to media blogs, and a thought-leader in the digital media and Augmented Reality sectors. He is a regular speaker on the subject of AR, VR and new technology at conferences and events. Founder & CEO of iTagged, a next generation Augmented Reality platform iTagged uses augmented reality combined with location-based services, image capturing and social sharing to digitize real world experiences. Keith has spent over 20 years working in digital marketing, strategic management and technology futurology. From a bookmaking family, Barry Orr joined Betfair in 2003 and has filled several key customer facing and media roles for the betting operator ever since. Now, as head of PR and Spokesperson for the PLC, he is a constant force in driving brand consideration, awareness and acquisition with a track record for the development and implementation of creative PR strategies. Founder and CEO of Von Bismark. Eoghan has a B.Sc. in Multimedia from DCU and has built a career in 3D visualisation, Image manipulation and interface design. Having previously cofounded digital agency Pixel Lab in 2005 he went on to co-found Tender3D in 2009, a global marketplace for 3D talent in 2009. Dr.ir. Martinus van de Ruitenbeek is a specialist in software development for Civil Engineering design purposes. He received his PhD on evolutionary, unconscious design support at the Delft University of Technology and taught BIM and parametric design for a couple of years. In his professional life at VolkerWessels, he attempts to apply new technologies such as virtual reality and serious gaming to daily design problems together with a group of motivated engineers. Gaia has been a creative force at DAQRI since the beginning, bringing her unique vision and imprint to major DAQRI projects ranging from successful educational initiative Elements 4D, to industrial augmented reality applications for Tier 1 defense contractors. With a passion for experiential marketing and roadshow activity, Scott is an avid supporter of the experience economy notion and a champion of live brand experiences. His diverse management background in IT, event services, leisure and experiential operations led him to augmented reality and the desire to embrace its power for the marketing communications sector. After 18 years of success in setting up internet companies and managing online projects Gerben moved to a new business opportunity in the combined areas of Mobile, Real time 3D and Augmented Reality. He feels in “optima forma” when dealing with projects that integrate useful concepts, user-friendly interaction, innovative technical science and drive new business opportunities. Matt is Co-founder and Managing Director at Engine Creative. An award winning creative digital innovations agency that is leading the way brands connect with their customers in the digital and real world. He founded the company in 1997 and has worked with clients such as Tesco, Top Gear, P&G, Lacoste and Ministry of Sound. His interests and experience span 20 years of 3D animation & visualisation, design & advertising, Technology & digital innovations. Director – Mobility Innovation Center, EMEA & DACH Solutions, SAP Manuel heads up a team working on cutting edge mobile technologies that showcase the power of the SAP Mobile Platform. SAP is the world leader in enterprise applications in terms of software and software-related service revenue, and employs some 74,400 employees in more than 130 countries. In 2012 Kavin was awarded the Norman Rowe Clinical Prize by the British Association of Oral & Maxillo-Facial Surgeon for his research in Augmented Reality, Surgical Robotics, and 3D Surgical Planning. His research and practices have been life-saving as is demonstrated here. Kavin has his own website where he explores some of the more advanced technologies behind the operating room. In his presentation to AR Marketing Conference he will show how he uses 3D technology to help plan complex surgery for patients who need to have facial reconstruction particularly after cancer treatment. Happy Finish - is a global creative production studio of digital artists and interactive specialists of which Richard has been at the forefront of since it’s set up just over 10 years ago. Working directly with brands, agencies & photographers, the company crafts creative visual content across a multitude of medias including Print, Digital, Interactive and now Virtual and Augmented Reality. Richard brings his many years of creative industry knowledge and unrivalled passion to discuss and demonstrate first-hand how brands can leverage these new platforms to engage with consumers on a whole new level. Co-founder CreativiTIC Innova – www.creativitic.es – a R&D factory with ongoing national and FP7 projects that works with Augmented and Mixed Reality technologies to offer innovative and creative solutions in fields such as education, bio-health, marketing and tourism. A Techy by definition, she has come to learn of the value of technology to enhance people’s lives, independently of the field it is used in. Based in Barcelona, Catchoom is the global standard for image recognition. Richard was previously at Golden Gekko (part of DMI), Europe's largest developer of business critical mobile solutions. His career in mobile started at the GSM Association as Mobile Programs Director, chairing the Technology Showcase Committee for the Mobile World Congress. Richard started blogging about mobile in 2008 and his blog featured in the official Mobile Monday Bloghive and W3C Mobile Web Initiative Blog. He published a book on Location Aware Applications in 2011 (Manning Publications, USA). Louis Jebb is the founder and CEO of immersiv.ly. Since 2014 Jebb and immersiv.ly's head of visuals, Edward Miller, have worked with the London-based developers Amplified Robot, to reimagine news spaces, both editorially and technically, from the perspective of 360-degree video and interactive CGI spaces. The immersiv.ly team is also developing VR experiences for B2B partners - focusing on brand narratives, brand experiences, training spaces and event capture. In 2012 - 2013, The Dustcloud staged urban games in the streets of Prague using GPS/GMS transceivers and electronic smart guns (called Dusters). Triangulation of player locations was inaccurate, so they incorporated RFID and iBeacon technology, before developing map-based phone apps for iOS and Android tracking. For Sony, the Dustcloud have developed an Augmented Reality version of their game for the Smart Eyeglass headset interface, so players could see avatars of their opponents on their headset screens while playing the game outdoors. The distance interface is still a work in progress but they see Sony's approach to an AR solution as being better than the flat screen solutions developed by Google, Samsung, Epson and Recon Instruments. Andrew holds a BSc in Computer Applications from DCU and a Masters in Innovation & Technology Management from The Smurfit School of Business. Prior to founding vStream with childhood friend Niall O'Driscoll, Andrew was a founding member of Irish software startup SteelTrace which was acquired by US Multinational Compuware for $20M. Andrew has received significant award recognition including Internet Marketer of the year, Entrepreneur of the year (European Business Awards) and Irish Times Innovation Awards. Andrew is also Chief Innovation Officer of Creative Agency Vocal, and co-founder of Visual and Mirror Brand Experiences. Andrew is a keen musician, father of 3, and loves anything with an engine! Marketing Manager FCR Media Ireland and goldenpages.ie. Catherine has over 10 years’ experience in global and tech marketing on both B2B and B2C levels and specialised in SME advertising and loyalty product development . In 2011, Catherine lead a cross European /US team which produced the world’s first Yellow Pages Directory, enhanced with AR. With a 3 month lead time 3 unique pieces of AR were produced and localised with 12 triggers in over 8 million directories across Ireland, Belgium and Portugal. Using AR, a (then) relatively unknown advertising medium a very clear return on investment was achieved for both goldenpages.ie and an early adaptor advertiser. Senior Lecturer in Marketing, and Assistant Head of School, at Dublin Institute of Technology and Visiting Professor at ESSEC Business School, Paris. He has been involved in research into AR in the tourism and heritage area, with recent projects in collaboration with Dublin City Council, National History Museum and Manchester Metropolitan University. "Excellent event, well run and enjoyable, outstanding"
"A great learning experience, excellent, one you can't afford to miss"